ESPN Dos (stylized as ESPN2, its full name is used internally to distinguish it from its U.S. English counterpart) is a cable television network operated by ESPN International. It predominantly shares much of its Spanish language programming with ESPN Deportes, alongside other original programs focusing on Mexican sports, and a simulcast of ESPN's early evening edition of SportsCenter. 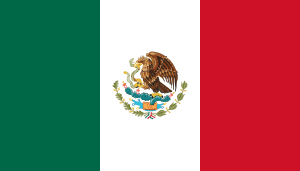 The channel is primarily targeted towards Mexico, regional variations for ESPN Dos are also broadcast for Central America/Dominican Republic due to differing programming rights between the regions. Prior to 2008, ESPN Dos was shown in Colombia and Peru, but those countries switched to the more football-oriented ESPN+. Also Venezuela used to be the only country in South America where ESPN Dos was available, but in 2013 this country was switched to ESPN+. Some people from countries outside Mexico had criticized that content from the channel is almost totally dedicated to Mexico, while spaces for sports from other countries are very small. Other: Billiards, Bull riding, Motorsport, Golf, Cycling, Boxing, Polo, etc.